As a multi-million dollar producing agent who’s At Home in Charleston, my team and I bring a wealth of knowledge and expertise about buying and selling real estate in the Carolina Lowcountry. We realize that selling your property, buying your first home, or moving to a different one, can feel overwhelming. There are so many details to consider and decisions that need to be made. Let us help take the stress out of this busy time in your life. Having lived downtown in Charleston since 1986, and raised my family here, I know and understand the community well. Since 2003, I have been a top producing agent. 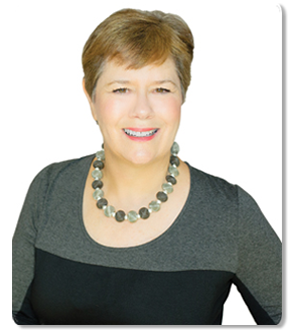 I am a Realtor of Distinction, a recognition only given to the top 1% of agents in the tri-county area, a Certified Luxury Home Marketing Specialist, a Certified Investment Specialist, as well as an Accredited Buyers Representative. 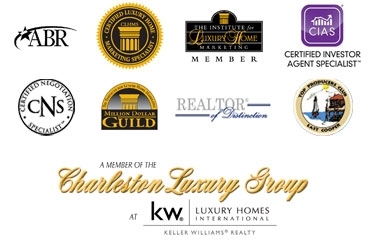 I am also a founding member of the Charleston Luxury Group. Clients tell me that they appreciate our personal attention, good communication and negotiation skills, quick response, and market knowledge. We work with our clients every step of the way, not handing them off to members of a large team. When looking for a home, you need someone who knows the Lowcountry inside and out! We listen carefully and work with you to find just the right home at the right price. We will advise you about financing your home, having it inspected, and help you navigate the sometime complex world of insurance. When it’s time to move, you need someone who will help you stage your home effectively and educate you about the market so you can price your home correctly. We professionally photograph your home, market and advertise it, show it to prospective buyers, negotiate the purchase contract, oversee the inspections, handle all necessary paperwork, and supervise the closing. From start to finish, we’re in your corner. We love what we do and it shows. 85% of our business is referral based and comes from former clients or agents that trust us to take good care of their family or friends. We would appreciate the opportunity to earn your business too. Please contact us today and let’s get started.